Radio Shack is selling the handheld PRO-18 as a cheaper alternative to the PSR-800. This scanner is designed to run from data loaded onto a memory card, avoiding keypad-style programming. It is capable of tracking APCO Project 25, Motorola, EDACS and LTR trunked systems. Coverage: 25 to 54 MHz, 108 to 174 MHz, 216 to 512 MHz, 806 to 960 MHz (less cellular), and 1240 to 1300 MHz. Check the Radio Shack website here for firmware updates as well as an Owner's Manual in electronic format. Radio Shack is selling the handheld PRO-106 and base/mobile PRO-197 scanners. They are nearly identical to the GRE PSR-500 and PSR-600 scanners, respectively. These scanners are also capable of tracking Motorola, EDACS and LTR trunked systems. Coverage: 25 to 54 MHz, 108 to 174 MHz, 216 to 512 MHz, 764 to 960 MHz (less cellular), and 1240 and 1300 MHz. July 2009: Radio shack has released the CPU 1.7 firmware upgrade for the Pro 106 and Pro 197. Change S-E GLOB "138-174 5kHz:" item to "Bandplan:" with a choice between USA and Canada. Change step size to 12.500kHz in 405.987500-512.000000MHz range when the "Bandplan: Canada" option is selected in the FUNC-GLOB menu. Change step size from 12.500kHz to 6.250kHz between 470.000000MHz and 512.000000MHz to handle the new UHF bandplan. Further qualify EDACS "Individual" call grants to address a problem where the radio sometimes tunes to MDT transmissions as radio-to-radio calls. Fixed EDACS "channel number" in CCDump messages. New DSP Boot code V1.1 to handle a different Flash IC version. There is no user-noticeable performance change. GRE is selling the handheld PSR-500 and base/mobile PSR-600 scanners. Check the GRE America website here for firmware updates as well as an Owner's Manual in electronic format. Icom is selling the PCR-2500, a "black box" computer-controlled receiver. With the optional UT-112 P25 Digital Voice Decoder, the PCR-2500 is able to decode (but not track) APCO Project 25 transmissions. The PCR-2500 is not able to track any type of trunked radio system. Check the Uniden website here for firmware updates as well as an Owner's Manual in electronic format. Uniden is selling their BCD996T, a base or mobile scanner capable of monitoring mixed and all-digital APCO-25 systems as well as analog Motorola, EDACS and LTR systems. The BCD996T also accepts NMEA-formatted GPS information and automatically selects appropriate frequencies to scan based on location. Uniden is selling their BCD396T, a compact handheld scanner capable of monitoring mixed and all-digital APCO-25 systems as well as analog Motorola, EDACS and LTR systems. The BCD396T also offers the "Close Call" feature, allowing the scanner to automatically tune to nearby radio transmissions. Initial shortcomings appear to be manual adjustment of voice quality on APCO-25 systems. You can read a detailed review of the BCD396T, with several photographs, from a user in the United Kingdom here. Radio Shack is selling the PRO-96, a GRE-built scanner capable of monitoring 3600-baud and 9600-baud trunked APCO-25 systems. The PRO-96 features "V-Scanner" consisting of a number of preloaded frequencies and talkgroups for major metropolitan areas in the United States. Shortcomings include lack of LTR tracking and a relatively short battery life. There is a logic board replacement that will bring the PRO-96 up to version 1.3. This upgrade corrects a bug in the reception of some Motorola Type II analog talkgroups. Unfortunately, the scanner must be sent to the service center in Fort Worth, Texas, for this upgrade -- the central processing unit (CPU) is actually replaced. It was also reported that there are delays in the upgrade process after the facility ran out of replacement CPUs some time in September. Although more are (were) expected from overseas, there may be a substantial backlog that must be worked through. There is a firmware upgrade for the PRO-96 to add CQPSK LSM modulation capability. You can find the upgrade on the Radio Shack web site by clicking here. Look for catalog number 200-0526. You can read more about the PRO-96 here. Uniden is selling upgraded digital scanners, the BC296D handheld and the BC796D base/mobile scanners. Each of these scanners is capable of monitoring APCO-25 systems, including those with 9600 baud control channels. 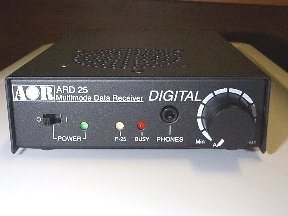 The APCO-25 decoder card has been upgraded to the BCi96D and is now included with the scanner rather than being purchased separately. The firmware in these scanners can be upgraded to correct bugs and add features. Check the following links to see if there's an upgrade for your particular unit. Uniden continues to sell the BC250D handheld and the BC785D base/mobile scanners, each of which are capable of monitoring APCO-25 systems through the use of a plug-in BCi25D decoder card. These scanners are not able to track "pure" APCO-25 systems, those with 9600 baud control channels. AOR is selling an APCO-25 decoder that uses the 10.7 MHz IF output of a separate receiver. It works only on conventional (non-trunked) APCO-25 transmissions. 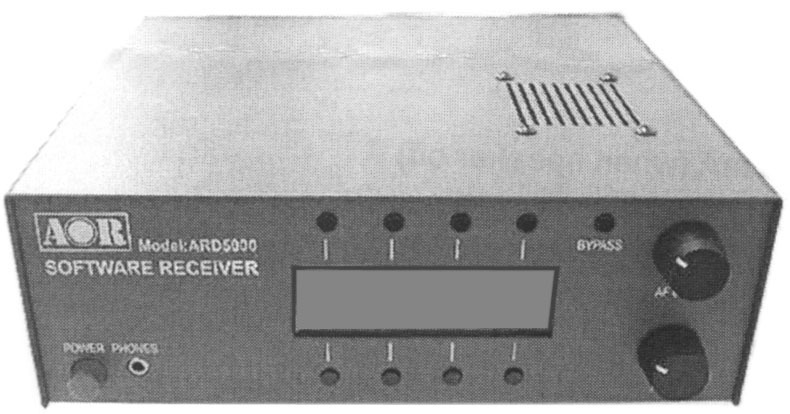 AOR demostrated a prototype of their ARD5000 APCO-25 decoder at the Dayton Hamvention in May of 2002. However, like their JT2000 radio, the expected availability date has been pushed back indefinitely. When finally availabile, it will require a 10.7 MHz IF connection from a separate receiver. You can see more information about this device here. Last updated November 19, 2011.